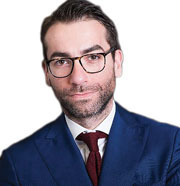 New York, NY According to Romer Debbas LLP, a New York City-based law firm specializing in commercial and residential real estate transactions, attorney Daniel Gershburg has joined the firm as a partner specializing in bankruptcy law. He will also head Romer Debbas’ new Brooklyn office in Williamsburg. 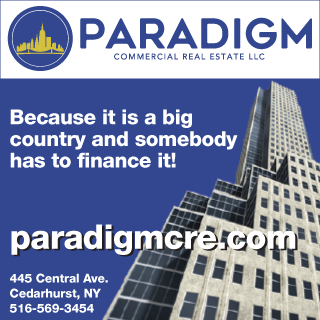 Prior to joining Romer Debbas, Gershburg ran his own practice which he started directly out of law school where he focused on representing both purchasers and sellers in New York real estate transactions and consumer bankruptcy. He represents a diverse group of clients: from first time home buyers to foreign entities and developers across the New York City area. He has also represented hundreds of individuals and corporations in filing for Chapter 7 and Chapter 13 Bankruptcy, resulting in the discharge of tens of millions of dollars in consumer debt. “Daniel’s passion for technology allows him to create a client experience that allows his clients to know what is happening in their transaction every step of the way,” said Romer Debbas founding co-partner Michael Romer. Gershburg frequently lectures and teaches a variety of continuing legal education classes for attorneys on both real estate and bankruptcy, as well as continuing education courses on topics related to residential real estate. Gershburg earned his law degree from New York Law School and a bachelor of science degree in political science/philosophy from Rutgers. He is licensed to practice law in New York State and New Jersey and is a member of the New York State and New Jersey Bar Associations. He also volunteers for the Brooklyn Bar Association Volunteer Lawyers project, where he helps low-income individuals gain debt relief and is on the board of Queens Community House.